Vax's best ever full sized carpet cleaner, the Platinum Power Max is proven to clean better than the leading rental^. The Rapid Power Plus is loaded with solution and a SpinScrub hand tool, helping you to tackle hardened dirt and stains. The Rapid Power Revive has an extra-large tank capacity so you can clean for longer. Vax's best ever full sized carpet cleaner, the Platinum Power Max cleans your carpets 5 times better than a high performance vacuum cleaner^. The Rapid Power Revive has an extra-large tank capacity so you can clean for longer. The automix system takes the hassle out of measuring water and solution. Vacuum cleaning on its own isn’t enough to remove deep down dirt that’s embedded within the carpet pile. Dirt can build up over time to eventually weigh down and flatten carpet fibres if they’re not thoroughly cleaned. Vax Carpet Cleaners remove this build-up of dirt, odours and brighten the overall appearance of carpets. Vax Carpet Cleaners are also great for clearing up those accidental spills, making them ideal for homes with children and pets that create mess every day. Washing regularly will not only leave your carpets looking clean and smelling fresh, but it will prolong its life and help to avoid the expensive costs of carpet replacement. The Vax Platinum Power Max and Rapid Power Advance Carpet Cleaners are proven to clean better than the leading rental^, ensuring you have spotless carpets, clean upholstery and fresh car interiors. The Vax Platinum Power Max Carpet Cleaner cleans your carpets 5 times better than Vax's best-performing upright vacuum cleaners^ and can remove up to 93% of bacteria with the Vax Platinum solution. Not only powerful, Vax Carpet Cleaners have been designed to be easy to manoeuvre, even when filled with water, making carpet washing quick and easy. Short on time? 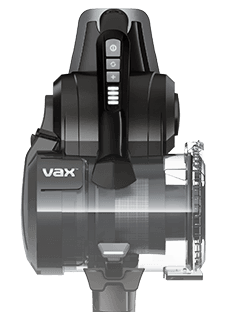 Not a problem as Vax has developed a quick cleaning technology with the Vax Platinum Power Max which allows carpets to dry in less than 1 hour, leaving your carpets clean, dry and smelling fresh. With a Vax Carpet Cleaner, you can deep clean your carpets all year round, without the hassle of hiring or renting a carpet washer machine. You’ll save more money in the long term when buying your own and can use it as often as you want for carpets, stairs and upholstery cleaning. You can also clean your own home at your own convenience, without having to return a rented Carpet Cleaner. Having a Vax Carpet Cleaner, such as the Vax Platinum Power Max or Vax Rapid Power Advance on hand will encourage you to clean your carpets often, and this is important in maintaining a clean home and prolonging the life of your carpets. So versatile, you can use a Vax Carpet Washer to clean sofas, upholstery, stairs and even car interiors. You wouldn’t believe how dirty a fabric sofa can get and vacuuming frequently isn’t enough to remove deep down, embedded dirt trapped within the fibres of your sofa. Having a Vax Carpet Cleaner in your home and on standby means that if you do happen to spill a glass of wine on your sofa, or the dog jumps up with muddy paws, these messy situations can be resolved quickly and easily so there’s never a need to panic.